75 square meters, two bedrooms, living room, kitchen, bathroom with shower, near the sea. Only 15 Km. begins the coast of the South with the beaches most 'beautiful of Sardinia, you will enjoy a transparent and clean sea. 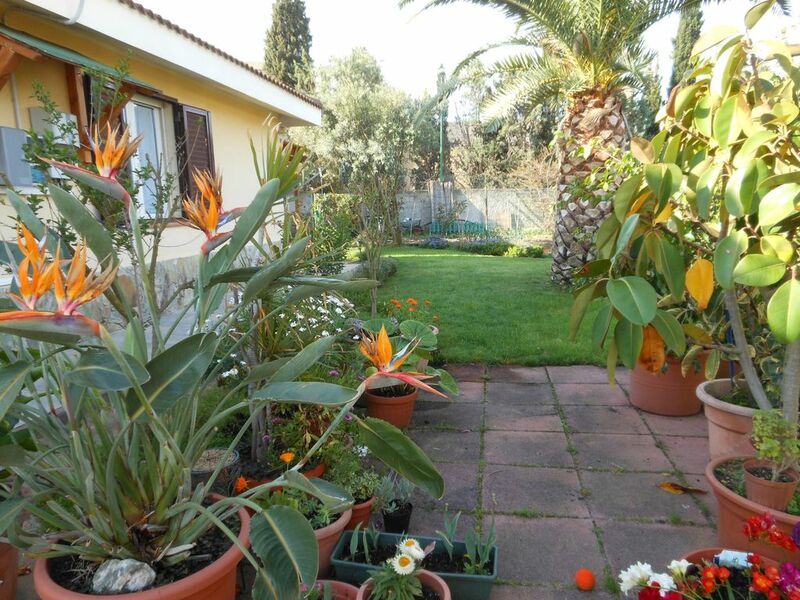 We are also close to Cagliari, the city 'full of history, museums, large shopping malls, music shows, restaurants etc. Then for those who want to make the trek, nearby there is' the oasis of the WWF and the regional park of Sulcis. For fans of history and archeology of the visit 'Nora' ancient Roman city and 'Barumini' The direction of the ancient peoples nuragici can not that be a nice discovery. We are in the middle of the Bay of Angels, and every day you can visit both the coast of the east than to the west where you'll find postcard landscapes right for a stop to make beautiful photographs. in the apartment are all the facilities and equipment useful for a quiet and comfortable plus you have the possibility of satellite television and free wi fi, air conditioning, screens on all windows, barbecue, garden gazebo, a balcony that you can do outdoor breakfast and more will have a neighbor willing and able to solve every problem. once you are in Cagliari call or follow the road 195 to Pula. and after 16 Km follow directions, you will be provided upon booking including a road map. Pula only 15 km. Archaeology. Fabulous seafood restaurants or anything, but especially a wonderful sea.